Simply Mac, a well-known Apple Authorized Reseller and Service Provider owned by GameStop, is shutting down a number of its brick and mortar stores across the United States. Locations in North Carolina, North Dakota, Montana, Texas, Illinois, Indiana, Utah, Idaho, Maryland, South Dakota, and more, are closing this week. Notices at some of the locations have suggested Simply Mac is being shut down because Apple is ending its agreement with the retail chain, and several local newspapers are reporting the same news, but on Twitter, Simply Mac says that is not true. We wanted to reach out to you with news of another change at West Acres. As of today, Simply Mac has closed. Simply Mac opened at West Acres in August 2014 and we've enjoyed having them as part of the West Acres family. The closure is due to the Apple Corporation ending its national agreement with Simply Mac to sell them Apple product, making it impossible for them to continue. They will be onsite for a few days to help with customers who have repaired items to pick up. A GameStop spokesperson who spoke to the Midland-Reporter Telegram in Texas and the Billings Gazette in Montana said the closure of the Simply Mac store in that location was done as part of a business transformation plan that involves closing non-productive store locations. "As GameStop announced in its holiday sales release, the company continues to focus on the execution of our business transformation plan, which includes growing our non-gaming businesses and right-sizing our global store portfolio across all our retail brands. This involves evaluating and closing non-productive locations. The closure of this Simply Mac store is part of that strategy." It is not clear why there is mixed information being shared about the store closures, but it appears that only a select number of stores are being shuttered at this time. We've reached out to GameStop for a full list of the locations that are disappearing. The closure of several Simply Mac stores comes as GameStop faces flagging sales. Earlier this month, GameStop announced that its holiday sales fell 16.4 percent compared to 2015. That's terrible though. Apple needs to remember that long before they had stores that places like Simply Mac and others sold their products. Apple has become so drunken with its own success that it forgot how it got there. No it won't, especially not when games nowadays weigh 100 something GB, which is ridiculous for digital downloads. Physical media FTW. In many areas there are no official Apple Stores, which makes being an Apple user especially inconvenient. I live in fairly large college town and we lost our only Apple certified repair store a couple years ago. Now I have to schedule my visits around times when I travel home to see my family two hours away. I see so many MacBooks and iPhones and Beats on campus that this town would have no problem supporting a legit Apple Store—even just a small one in the mall. I hope Apple continues to expand to new regions, but it feels like store growth in the U.S. has slowed in recent years. I've never been in a Simply Mac - can anyone comment on the quality of their stores/service? Look them up on Glassdoor.com. It's not often you see a company so thoroughly hated by its own employees. Allow me to add that they do NOT represent most independent Apple-authorized resellers and service providers. 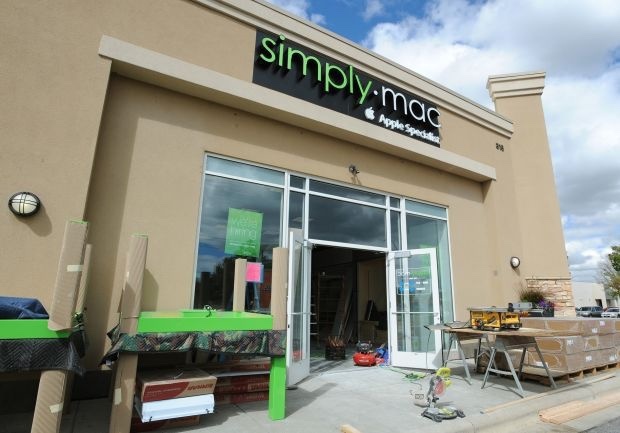 * From what I hear, SimplyMac was fine when it was a small business with couple of locations in the Salt Lake City area. It's when they got bought out by Game Stop and turned into a national chain that things went down the toilet FAST. Any increases in game sizes will be met with increased storage capabilities so I don't see it going any other way - just as how music is predominantly digital now. Remember if storage is expensive for us, it's expensive for those who create physical media too, so it is unlikely to be the case that consumer storage affordability is dwarfed by media size in the future. I think they meant more in terms of the time it take to download. That's how I took it. As a former store manager of simply mac that was with the company when we had 8 store and stayed to the point of 80 stores, you are exactly right. The currently leadership (HY, TA, JE, and GL) have all but destroyed this company with their super egos and inability to lead with inspiration. Instead, they resort to fear tactics, nepotism, and the removal of anyone with differing opinions. The company took a huge shift downward when PeachMac leaders started usurping the roles of faithful Simply Mac employees. It's unfortunate that hundreds of my friends are about to lose their jobs, but this is what happens when sociopaths are placed in charge of businesses like these. As a former store manager of Simply Mac, one who was with the company when we were private and only left a few months ago, I can speak to the likelihood of this commenters experience. The level of high expectation around service knowledge and accuracy has drastically dropped in the 3 years since GameStop purchased my company and forced us to expand and acquire other ASPs and Apple Specialists. This has created thousands of similar experiences across the country. This is not true. Apple has pulled away from Simply Mac due to our inability to train our service teams across the country to actually perform service with accuracy and care. I am a former store manager of Simply Mac that left just a few months ago due to many reasons that are contributing to this demise. Apple Inc is in no way responsible for my company's failure. Yeah! Physical media is great. You copy the 100G straight from the disks, then wait for the 90G of updates to download. Simply Mac ('https://simplymac.com'), a well-known Apple Authorized Reseller and Service Provider owned by GameStop, is shutting down a number of its brick and mortar stores across the United States. Locations in North Carolina, North Dakota, Montana, Texas, Illinois ('http://www.wifr.com/content/news/Simply-Mac-closed-at-CherryVale-Mall-411274985.html'), and more, are closing this week. Notices at some of the locations have suggested Simply Mac is being shut down because Apple is ending its agreement with the retail chain, and several local newspapers ('http://www.valleynewslive.com/content/news/411135875.html') are reporting the same news, but on Twitter ('https://twitter.com/simplymacstore/status/822137149088796675'), Simply Mac says that is not true. A notice sent out by the West Acres Mall in Fargo, North Dakota:A GameStop spokesperson who spoke to the Midland-Reporter Telegram ('http://www.mrt.com/business/article/Simply-Mac-closing-at-Midland-Park-Mall-10870115.php') in Texas and the Billings Gazette ('http://billingsgazette.com/business/billings-simply-mac-store-shuts-down/article_e11c9805-ddd7-5b11-a159-63a3e8053078.html') in Montana said the closure of the Simply Mac store in that location was done as part of a business transformation plan that involves closing non-productive store locations.It is not clear why there is mixed information being shared about the store closures, but it appears that only a select number of stores are being shuttered at this time. We've reached out to GameStop for a full list of the locations that are disappearing. The closure of several Simply Mac stores comes as GameStop faces flagging sales. Earlier this month, GameStop announced ('http://news.gamestop.com/phoenix.zhtml?c=130125&p=irol-newsArticle&ID=2237338') that its holiday sales fell 16.4 percent compared to 2015. Apple is a Mess sad to here . their retail locations really like going to a clothing store these days . This is part of Apple's consolidation of control of its products. ie. No one else, but Apple is allowed to service Apple products (at least according to Apple). It is not clear why there is mixed information being shared about the store closures, but it appears that only a select number of stores are being shuttered at this time. It's abundantly clear-- there's an audience out there primed by the entitlement brigade to blame Apple for everything, so if you don't want to field complaints yourself you blame them and people just swallow it. Dash tried it, Airpod Finder tried it, Pluggable tried it, etc, etc. Just like some people are willing to blame gummint for all evil, or big tobacco, or Angela Lansbury, if you tell a certain kind of person that Apple done it, they'll just nod and say "knew it".